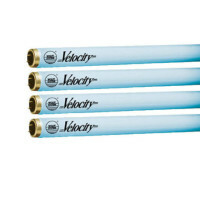 Let us help determine the right lamp for your tanning system. 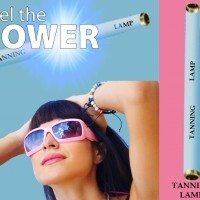 Design your own Lamp Package for your tanning bed. Follow the instructions below to custom build your tanning lamp kit. 1.) In the Products Filter to the Top choose the amount of lamps you would like to purchase. 3.) Select the type of lamp ends on your current set of Lamps. I.e. Do you have Bi-Pin or RDC? 4.) Select the Length of your current lamps, if you need help determining your lamp length, chat with us or see illustration below. 5.) Finally select the strength of your tanning lamps in minutes. The shorter the time the stronger the lamp. For more information on how to choose the best lamp for your skin, see illustrations below and Tanning 101. As a tanner, it’s crucial to understand the tanning process so that you can clearly make an informed decision when it conies to purchasing new lamps. Your skin is the largest organ of the body. designed to protect your internal organs and keep out germs, bacteria and other harmful substances. 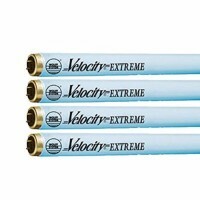 It also protects you from the damage that can be caused by UV light rays. We all need some UV light in order to be healthy, but too much of it can lead to a sunburn, which is your body’s way of beginning the healing process when you are overexposed to light. The Cells that Help Skin Tan Melanocytes are cells in the various layers of skin that produce melanin. Melanin is pigment that helps filter out and protect you from UV light. When you tan, your body’s melanocyte cells are producing melanin to protect the skin and internal organs from damage. Melanocyte cells can produce only so much melanin at a time. however. If you stay in the sunlight or in a tanning bed past the point at which melanin can be produced. burning occurs. If you tan at regular intervals and for short stretches of time, you allow the melanocyte cells to recover between tanning sessions so that they can once again produce melanin. This is what produces a rich, dark tan over time: in fact, if you tan two or three times a week for short intervals each time. you will get a deeper. more even tan than if you had simply stayed in the sun for one long stretch equal to the same amount of time. You will also be less likely to burn. since your melanocyte cells would be able to produce plenty of melanin each time. Understanding UVA and UVB Light Sunlight and tanning bed lights produce both UVA and UVB rays. UVA light penetrates deeper. promoting a long-lasting tan. It’s also less likely to produce a burn. UVB light doesn’t go as deep into the skin layers and tends to cause premature sunburn. When you are in the sun, you can’t regulate how much UVA vs. UVB light you are getting. but tanning beds are designed to address this issue. Your skin tans primarily with UVA light in tanning beds, as the more harmful UVB light is filtered out to protect your skin. 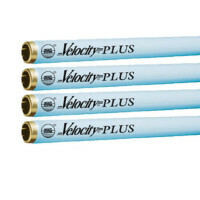 UPGRADE YOUR TANNING SYSTEM TO THE LATEST TECHNOLOGY IN LAMPS! The True Bronzing Reflector Technology usually found In larger Mega Beds at the local salons are now available In 100-120-160 Watts. They will deliver 30-50% more UVA than any ordinary lamp and you instantly upgrade your older tanning system to the latest in lamp technology. The Built-In Reflector directs 100% of the UV Output directly to your skin. You will need to lower you exposure time by 20.30% when converting from a non-reflector full coat lamp.